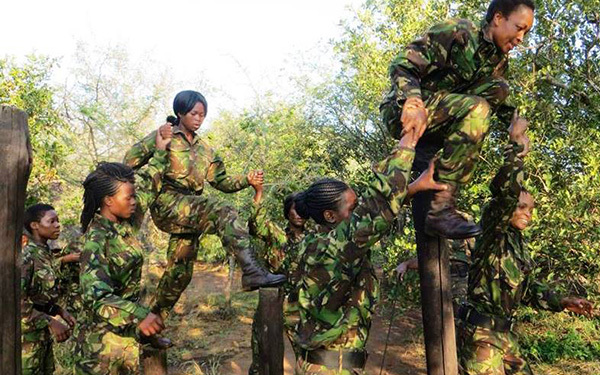 A group of South African women who are part of an anti-poaching unit are not afraid to man-up in a nature reserve. 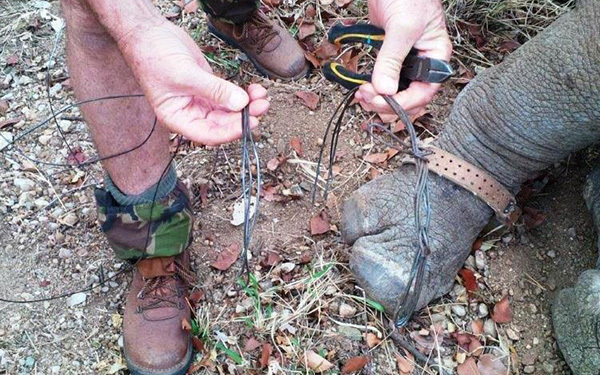 The Black Mambas are well-trained bobbies on the beat in the Olifants West Nature Reserve, and their success can be seen in the massive drop in snaring. 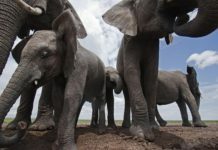 A group of 26 South African women is on a mission: to stop poaching so that their children and grandchildren are able to see Africa’s Big 5 in the wild. Known as the Black Mambas Anti-Poaching Unit (APU) of Transfrontier Africa, they protect the Olifants West Nature Reserve. 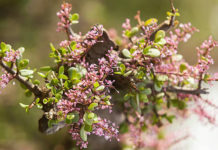 It forms part of the Balule Nature Reserve, near Kruger National Park. It is not an easy job for them, because they work in a male-dominated environment. Amy Clark, the project administrator at Transfrontier Africa, says the women have to endure the judgement of others while trying to prove themselves on the job. “Since the majority of our Mambas are mothers, they also have to leave their families behind for extended periods of time while on duty in the reserve. “Former soldiers and old-school conservationists had doubts that the Mambas could effectively protect wildlife, but the success of our female mambas has triumphed over the scepticism,” she adds. “I want my baby to see a rhino, that’s why I am protecting it,” one of the women, who is pregnant, told Grind TV. Clark says the Mambas are fully qualified to carry out arrests. “Since the deployment of our first team in April 2013, we have, to date, assisted in the arrest of six poachers. However, our mission is not to catch poachers, but to prevent poaching altogether by early detection and visual policing. Her Mambas are “bobbies on the beat”, she says, referring to the traditional British police officers who patrol on foot to keep an eye on things. 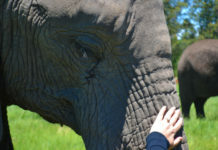 The women’s duties vary between sweeping an area for snares, fence patrols looking for tracks of either people breaking in or animals breaking out, manning observation posts during the day and night, and being aware of suspicious activity. Most rhino poaching happens during full moon, prompting patrols to be doubled on these nights. The Black Mamba APU was founded by Craig Spencer, the managing director of the non-profit conservation and research organisation, Transfrontier Africa. 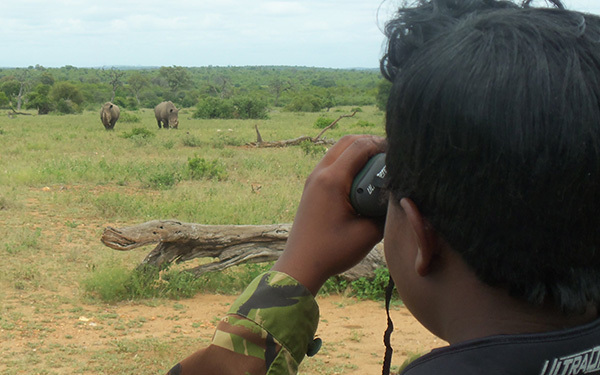 Putting an end to poaching is no easy task, with multiple issues to be considered. 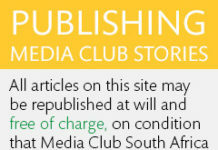 Locals around game reserves, for example, are scornful of wealthy park operators, according to The Guardian newspaper. 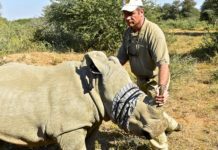 They are protective of their own, making the fight against rhino poaching much more difficult. “The problem really is that there is this perception that has developed in the communities outside the park – they see a uniformed official and think we are the sheriff of Nottingham, [and] they see the poachers as Robin Hood,” Spencer says. With this in mind, he decided to take a more creative approach and work with those communities. He began to hire young women, unemployed high-school graduates, to form the patrols. They came to be known as the Black Mambas and the original team of six women grew to cover the entire Balule area within a year of starting work. 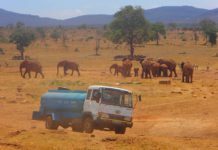 The idea of involving local residents was supported by Fundisile Mketeni, the chief executive of South African National Parks, who said communities should help to protect our national heritage and their economic future. “I would like to appeal to you as the communities who are reliant on our natural world as a means of survival – economically and socially – to stand up and declare that no rhino, no wild species of plant or animal – be it a pangolin, a lizard, a cycad or a tree – will be destroyed on your watch,” he said on World Wildlife Day, on 3 March. 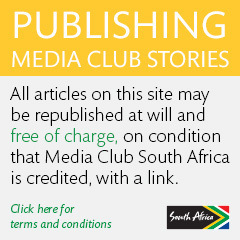 Clark says a local non-profitable organisation called Nourish also benefits from the Mambas work. They women planted a community vegetable garden and helped to install an irrigation system to water the garden.